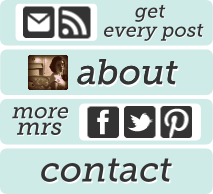 The Mrs: Coming Soon...A GiveaWhat? Yes, my friends, despite the deep cynicism and utter lack of hope displayed in this Facebook status, Thirsties has indeed agreed to give one of my lovely readers a Duo Wrap next Monday. That gives you (checks the watch she can't wear because IT'S TOO HOT FOR WATCHES FD FESSAYJDFG SDHFEOFDKLF ZXQWUK...) um, less than a week to round up all those people you think would like reading poems to Terry Pratchett all about maple candy stuff I write about, and bring them on back here. Oh boy, a giveaway. I feel all grown up and stuff.